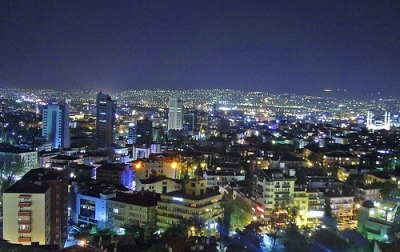 Ankara may not have the concentration of throbbing clubs and number of partygoers as its cosmopolitan counterpart of Istanbul has (Ankara may be Turkey’s capital city, but Istanbul is the country’s largest ), but there’s still a thriving bar and music scene in the city, you just need to know where to look. For a helpful rundown of the city’s best nights spots from those in the know, see this list over at VirtualTourist (the consensus seems to be to head to the neighborhood of K?z?lay). For a first-hand look at what the city has to offer after the sun goes down, check out Juha’s adventure out on a Saturday night as he gets down to a zither-driven band, takes a load off at a trendy lounge, and is entertained at dinner by a guitar duo playing music that reaches decades into Turkey’s past.